Windows Phone 7 – A New Challenger! 13 Oct Windows Phone 7 – A New Challenger! Microsoft’s Windows Phone 7 – Hitting the Scene! Microsoft has already tried to be part of the mobile phone business. But sales of their Windows Mobile phones have been declining for the past years. However, they know that the smart phone market keeps attracting new customers year after year. 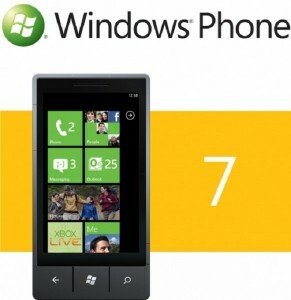 Microsoft is getting ready to release their new Windows Phone 7 platform, which will hit retail later this year. Samsung will be the first hardware maker to embrace the new operative system. And AT&T will be the first provider selling the device on Nov. 8. The Windows Phone 7 Operative System sports a new design that consists of “tiles” that display useful information on the screen via simple but stylized 2D graphics. This new system won’t attract business and power users, but it will surely catch the attention of Apple, Android or even Palm fans. This is a very different approach, since the phone design is not centered on apps. Windows Phone 7 will allow you to interact with the phone on a natural fashion and without having to keep opening applications after applications. Even if Microsoft offers strong Office and Xbox Live support on the phone; only developers will decide the fate of the platform. Users have grown fond of having hundred of little applications running on their devices. And they will expect the same thing from a new contender. We will have to wait until the end of the year to see if Microsoft is able to recover their market share.